You've got a sweet script from a third-party, and they told you to put it in a specific location. This article will show you where to stick it. Once you've determined the location, proceed to the corresponding Step 2. 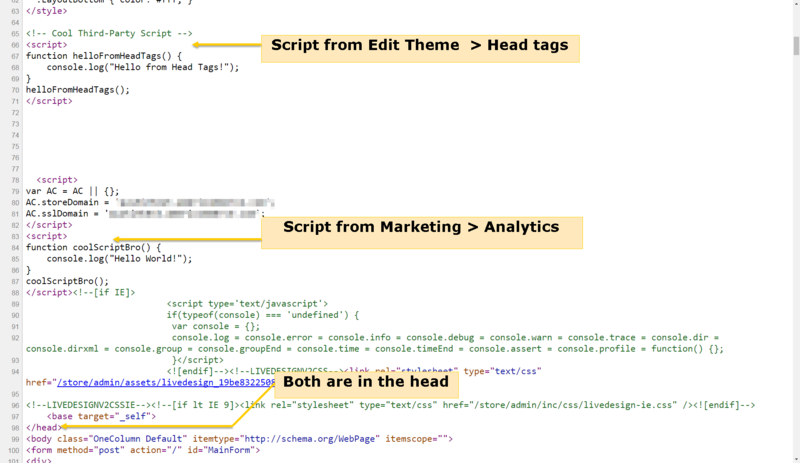 The difference is that a script in Analytics Script will be added to the head of every page, regardless of theme. 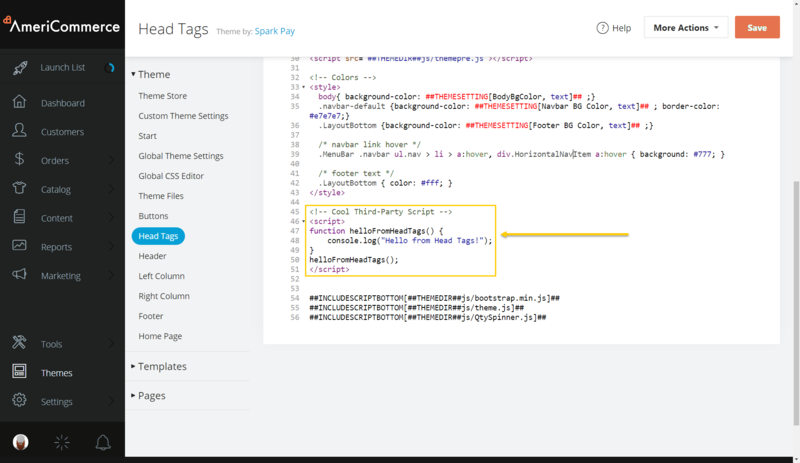 Whereas, Edit Theme > Head Tags adds the script to every page on whatever theme you edited. 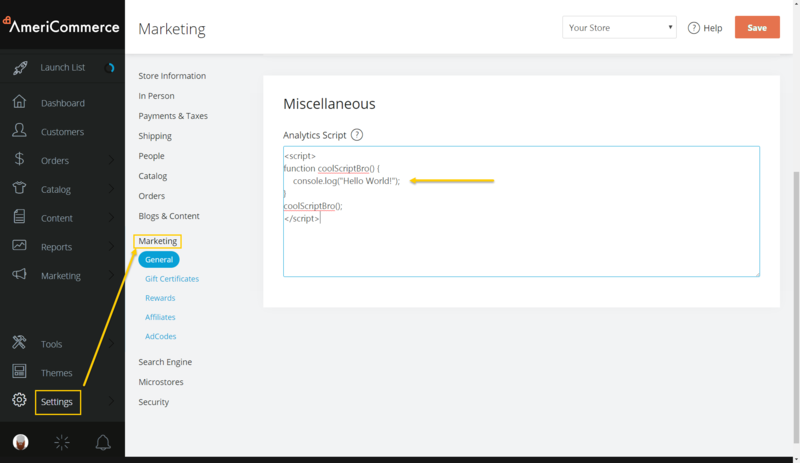 ##INCLUDESCRIPTBOTTOM## can also be used with externally hosted scripts. 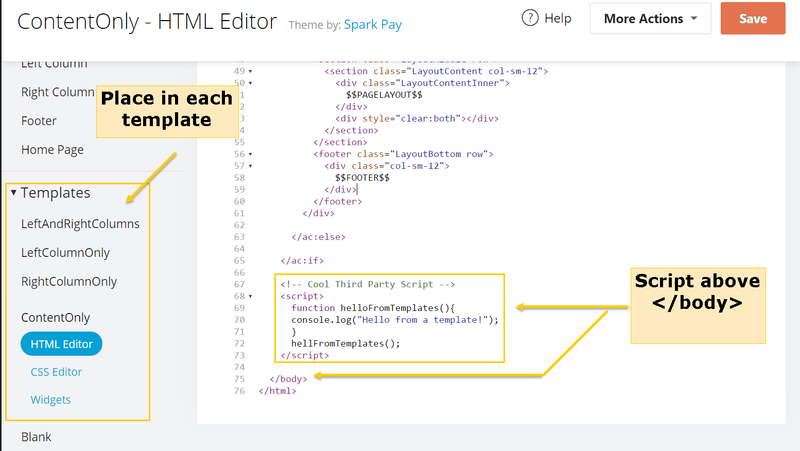 Notice in the example above, we use the ##THEMEDIR## merge code to fill in the theme's directory in Content > Files. The Order Confirmation page is the page shown to the customer directly after placing an order. Order tracking and conversion scripts typically go here because they depend upon order information like order total. Scripts that are placed on the Order Confirmation page are usually used in conjunction with Order Based Merge codes such as ##ORDERTOTAL## (which populates an order's grand total). For a full list of order based merge codes, see the Order Based Merge Codes section of What Merge Codes are Available.